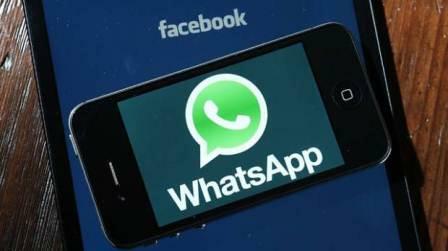 Dubai: WhatsApp users around the world have a reason to rejoice this week with the new feature allowing voice and video group calls just rolled out. The Facebook-owned messaging app announced that its millions of subscribers worldwide can now get in touch with their friends and family in a group video or voice chat. The feature went live on Tuesday on the iPhone and Android versions of the app. It allows up to four people, regardless of their location, to connect via a video or voice call simultaneously. “We’re excited to announce that group calls for voice and video are coming to WhatsApp starting today,” the company said in a statement released on July 30. It assured that group calls are “end-to-end encrypted” and can work "reliably around the world in different network conditions." However, with voice and video calls over the internet still facing restrictions in UAE, users in the country may not be able to access the new group chat feature yet. While voice and video calls have been enjoyed by WhatsApp users around the world over the last few years, UAE residents are able to use the app mostly for text messaging and video or image sharing. Voice and video calls over the internet are available in UAE only through VoIP-based apps Botim and C’Me offered by Etisalat and du. “This is great news for other users, but for us here, it’s sad because we can’t use the group call feature,” said one WhatsApp user in UAE, reacting to the latest service upgrade. Claire from the Philippines said that since calls via WhatsApp and other platforms such as Skype and Viber are still banned in UAE, she only communicates with her family back home through text messaging. “I don’t make long-distance calls more than once a month since it’s expensive. If only voice calls are allowed on WhatsApp, I’d call my father every day,” she said. But the celebration quickly subsided when the voice calling feature was again blocked, with the Telecommunications Regulatory Authority (TRA) confirming that its policy on VoIP still stands.